← Cool Car. Not a Pastor’s car more like a Bishop’s car would you not say? 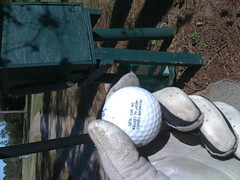 Funny the things we find in our golf bag. Funny the things we find in our gold bag. Posted on November 25, 2008, in ideas, thoughts and pictures. Bookmark the permalink. 2 Comments. I was just thinking that if you were here….